Last summer, I attended the Greater Cleveland Partnership’s annual Diversity Professionals Conference, where I had the opportunity to participate in a series of interactive sessions that put a spotlight on how cultural orientations shape an individual’s perception of the world and how these orientations can play out in a workplace setting. One of my key takeaways following this conference was a deeper understanding of the role an organizational leader plays in creating an environment that promotes open, authentic and, sometimes, uncomfortable dialogue and exchange of ideas. It takes a bold and courageous leader to create this kind of environment and maintain the elements that support it. Here are five critical actions for becoming a bolder, more courageous and inclusive leader. Inclusive leaders regularly invest time to reflect on their individual strengths, weaknesses, cultural influences, beliefs, biases and networks. Moreover, they have a firm understanding of the why behind building an inclusive culture. If you can’t clearly and concisely articulate the why to yourself, why would your team believe in its value? It’s important to understand that diversity spans multiple dimensions — from more obvious characteristics that you can physically see, like race, gender and different ability, to what may be less obvious, like religion, sexual orientation and personality types. Diversity, in all forms, should consistently be reflected broadly and deeply on your teams and in your network. Patrick Lencioni, author of “The Advantage: Why Organizational Health Trumps Everything Else in Business,” states, “Team members who trust one another are comfortable being open, even exposed, to one another about their failures, weaknesses and fears.” Trust and respect take time, intentionality and practice to develop, but it is the necessary foundation of a healthy organization. Incentives demonstrate to your team that inclusive behavior is a priority in your organization. 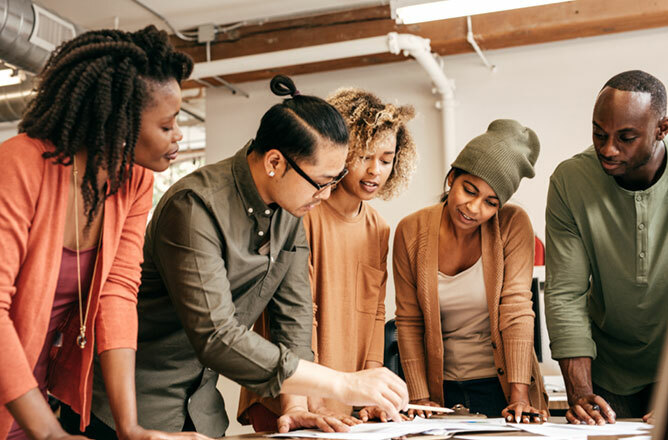 Employees may be rewarded for collaboration skills, achievement of SMART goals around diversity and being demonstrably inviting and welcoming of diverse perspectives and ideas, among other inclusive behaviors and actions. Incentives set the tone for organizational priorities, create meaning, boost performance and catalyze desired behaviors, particularly when challenged to complete work that may not be second nature. While it’s exciting to hear more leaders talk about the value of diversity and inclusion, or see more references in a company’s literature and website, there is untapped potential and shareholder value to be mined by leaders. So be bold and take the plunge to accelerate the success of your organization by putting the above practices to work.